Proper placement of trailer axles can make the difference between a trailer that tows safely and easily and a trailer that is a danger to everyone around it anytime it is being towed. Too far to the rear and the percentage of the cargo weight that is carried on the trailer hitch is too high, causing undue wear on the tow vehicle's suspension and tires. Too far forward and the trailer tongue weight won't be enough, allowing the trailer to sway badly. Start by measuring the length of the trailer cargo box or platform, but do not include the trailer tongue. Multiply this length by .4. The resulting number is the distance from the rear of the cargo box to the center of the axle. For example, the math for a 10-foot box is: 10 x.4 = 4. 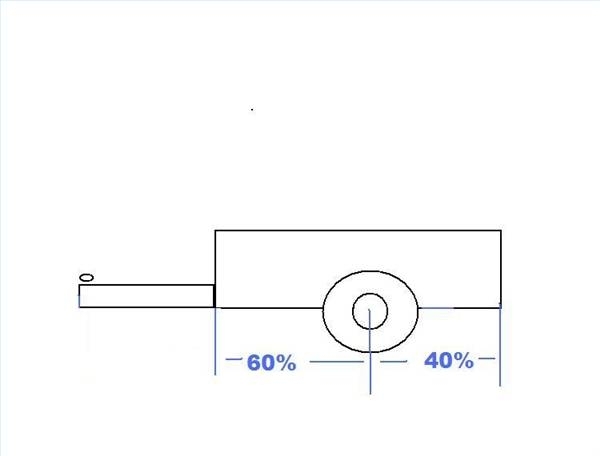 So, in this example, simply mount the axle so that the axle center point is four feet from the rear of the trailer. 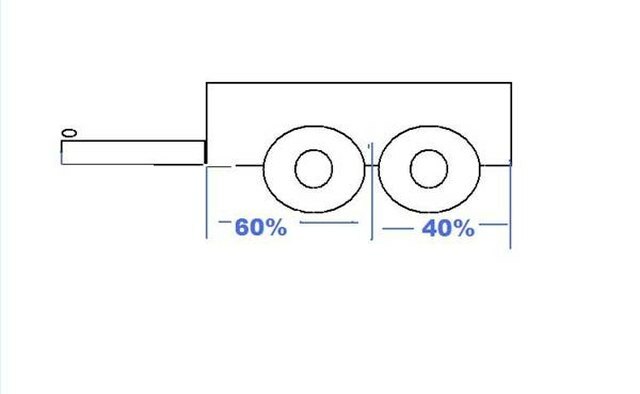 The mounting point for a double axle setup is calculated in the same manner as the single axle above, except that the calculated number is the center point between the two axles. Using the same 10-foot cargo box as our previous example, we would make a mark four feet from the back of the trailer. This mark represents the center of the equalizer for the front and rear spring. 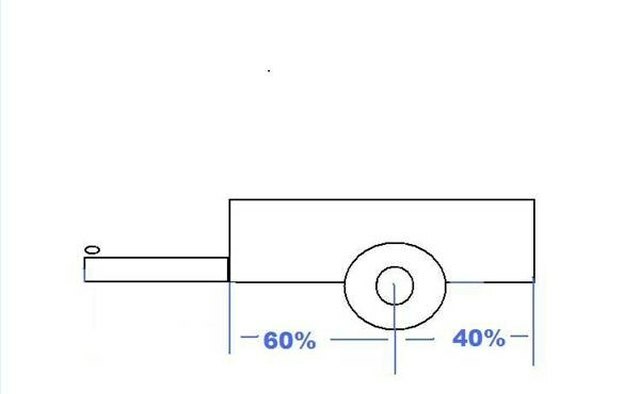 When this distance is known, the total length of the spring and half the equalizer is taken, and the other spring mount is welded at that distance from the center mark..
By calculating the total length of all the axles, springs and equalizers to determine the center of the assembly any number of axles can be added to a trailer. Simply mount the axles where the center of the assembly matches the 40 percent mark on the trailer frame. 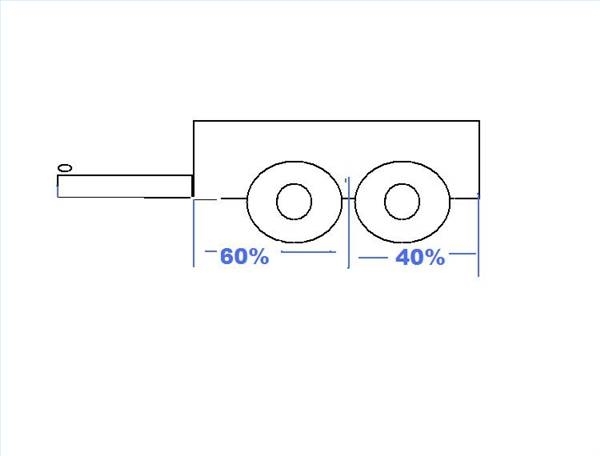 On a three-axle placement, for example, this would mean the center of the middle axle was at a point 40 percent in from the rear of the trailer.